The former summer residence of Queen Marija Karaðorðeviæ, Villa Milocer is phase one of Aman Sveti Stefan, completed in late 2008. Surrounded by more than 800 olive trees, the manse resides on a 32-hectare estate, embraced on three sides by ancient cedar and pine forests. Attached to the coast by a narrow isthmus, the island of Sveti Stefan across the bay was once a fortified fishing village, dating back to the 15th century. 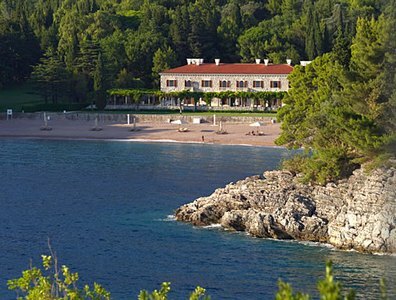 The Island has had an exciting transition to become the second phase of Aman Sveti Stefan, which has retained the Island’s historic air and cluster of sturdy stone buildings with red tiled roofs, cheerful amongst hardy evergreen trees. It has become it's own village with a variety of restaurants, swimming pools and many secret places to sit and enjoy the sea and wonderful scents of the Mediterreanean gardens. 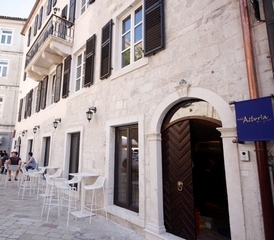 From a palace of one of the eminent noble families in Kotor, reborn into a modern mansion, Boutique Hotel Astoria will inspire you to take a glance under the ramparts and relive the past of a town which resisted time and adversity, thereupon became an inspiration for creativity..Situated in the old town of Kotor. 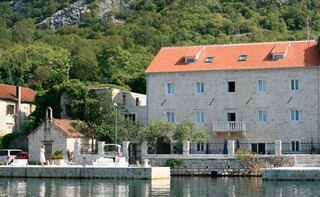 Forza Mare is located in Dobrota, 3 km away ftom the town centre, at the shore of the Bay of Kotor. Forza Mare has ten double suites. Each air-conditioned suite is furnished with high quality, custom made designer furniture and has cable TV and Internet connection. It is interesting that all the rooms are completely different one from the other - each rooms tells its own story foretold by its name: Africa, India, Dubai, Japan and China. 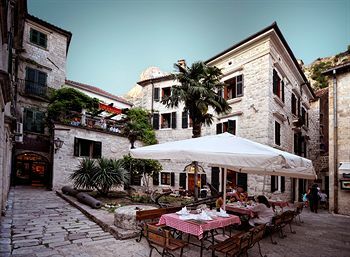 Hotel Monte Cristo is located in the historical center of Kotor, in building from XIII century, and there is also testimonials that the first bishop of Kotor was here. Come and feel unique XIII century old ambient. 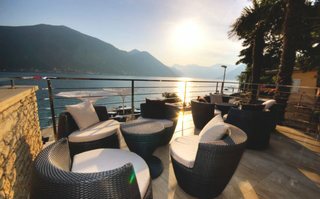 Conveniently near the airport in Kotor's Kotor Bay neighborhood, Hotel Monte Cristo is close to St. Triphon Cathedral, Kotor Old Town Walls, and Lovcen. Located in the heart of an ancient seafaring settlement Dobrota and directly on the coast of Boka Kotorska bay (Bocche di Cattaro) in Montenegro, Palazzo Radomiri is an extraordinary early 18th century baroque palace converted into a small historical boutique hotel in 2006. Palazzo Radomiri was one of the first small hotels opened in this region and still the only historical hotel in Montenegro.